Roll up your sleeves! 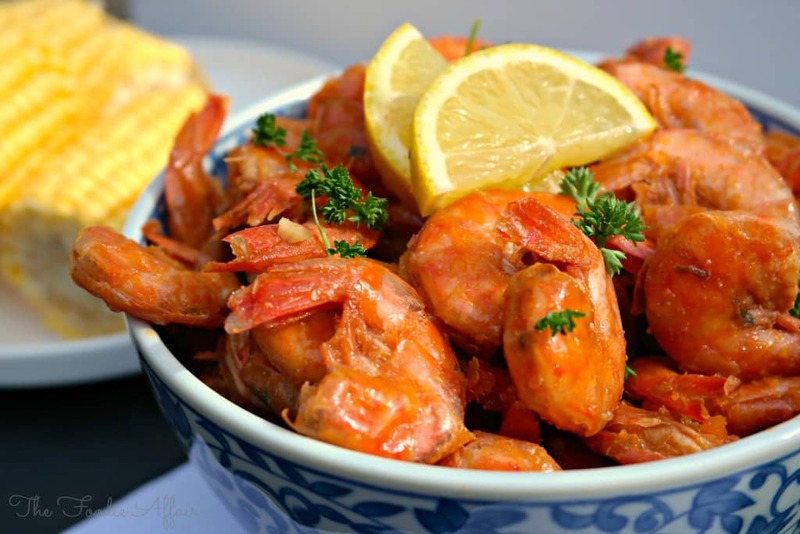 BBQ Shrimp New Orleans Style; submerged in a spicy seasoned butter and baked in their shells! I had my first ever Mardi Gras food themed party! It was a gathering for my hubby’s birthday, which was right smack in the middle of Mardi Gras. I didn’t tell anyone that was the theme, so we weren’t throwing beads or flashing anyone, but we did enjoy some simple Cajun dishes! Jambalaya and this BBQ Shrimp New Orleans Style were on the menu! My hubby and I haven’t been to New Orleans in over 20 years, but there are a few things you never forget when you visit. First, the alcoholic drinks taste sweet, but don’t be fooled, they’re potent, and the food is flavorful and spicy! I’m usually a whimp when it comes to spicy food, but creole seasoning adds a perfect boost of flavor! The shrimp got an extra spicy oomph from the chili sauce that was in the marinate, soaking up all the flavors for a couple of hours before it was baked! I served it warm, but when it cooled down, it was just as tasty. 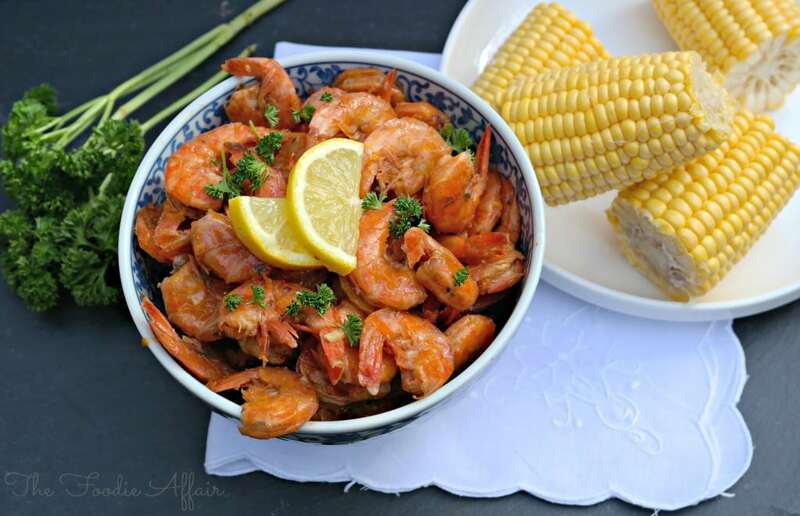 Serve it as an appetizer with other sides or add a salad, corn and some crusty bread for a main dish! Line a shallow baking sheet or roasting pan (you may need two) with foil and put aside. Put the shrimp in a container that can be sealed. I used a large plastic Ziploc bag. Add butter and all remaining ingredients to a medium size saucepan, melting butter on low heat. Stir until all ingredients are blended. 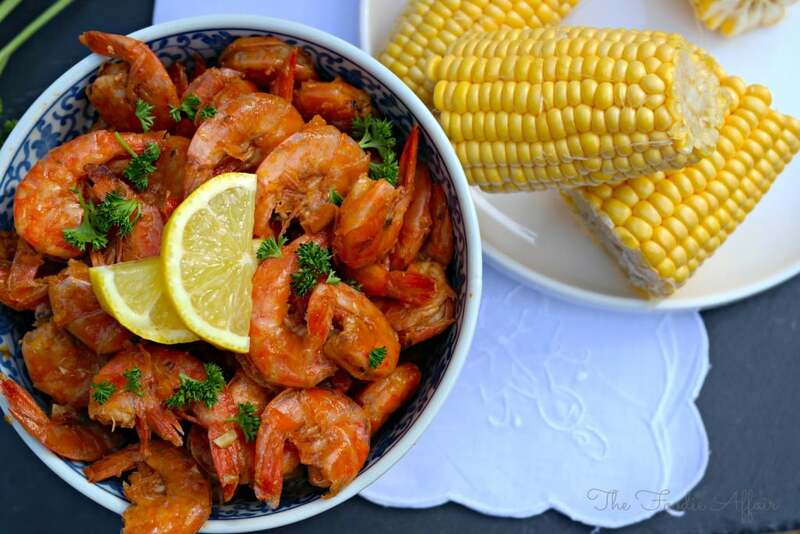 Pour over shrimp and chill for 2 hours, turning over every 30 minutes. In a preheated oven at 400 degrees F bake shrimp for 20 minutes. 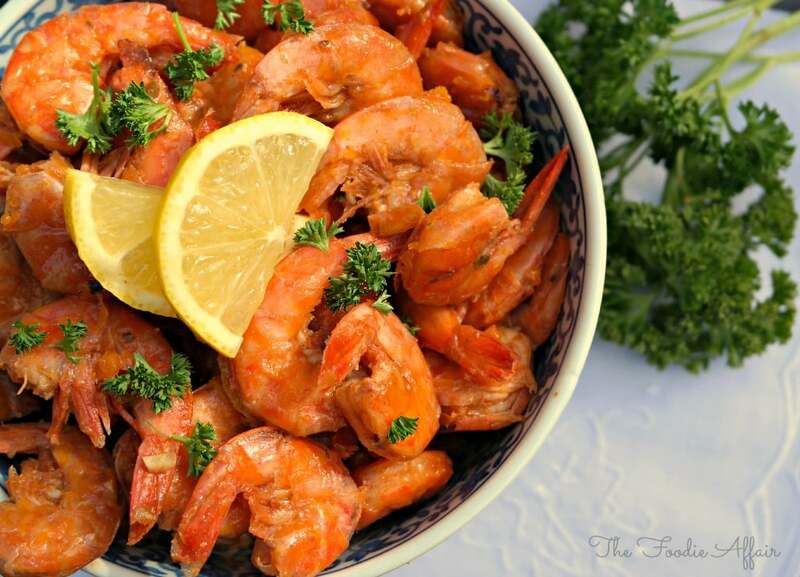 Turn shrimp once during baking. I hope you do try it, Karen! It was a fun birthday for him, thanks! G’day! 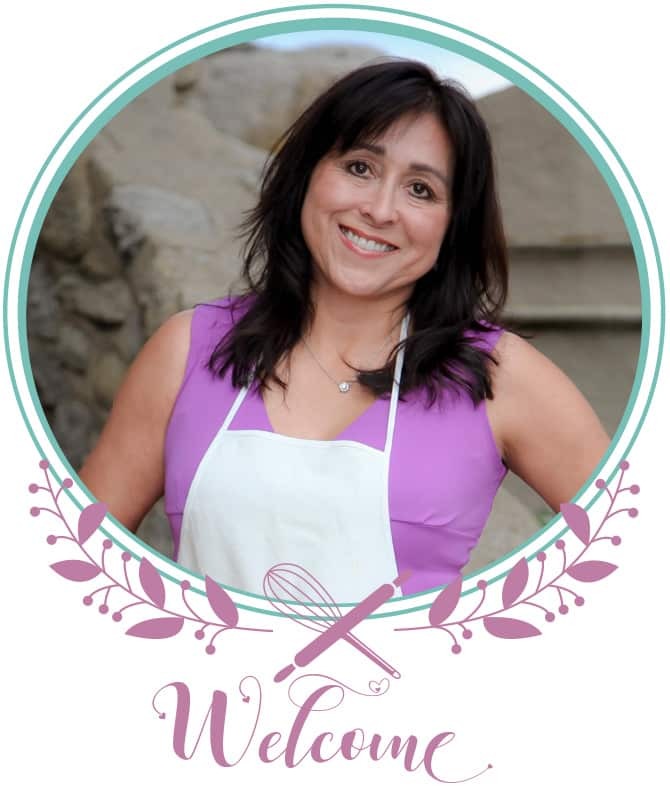 Look terrific Sandra! 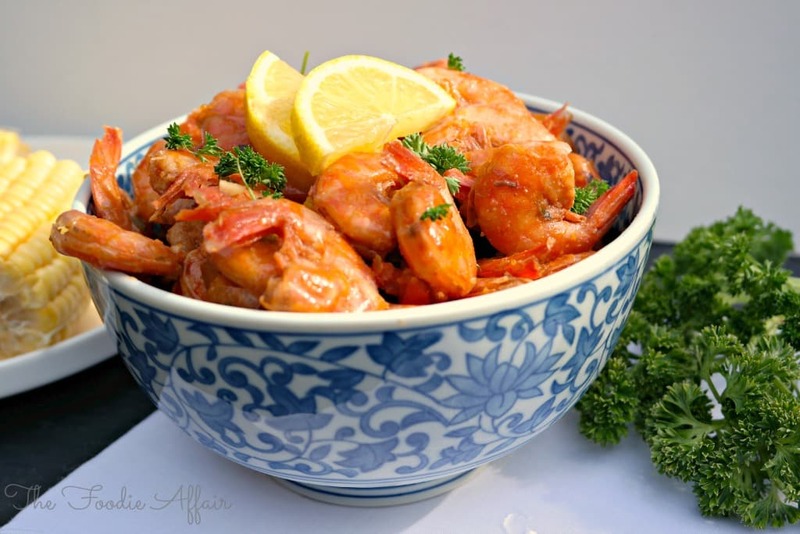 Love shrimp aka prawns…. pinned the loved today too! YUM! When I read no beads or flashing I kinda felt sad but when I looked at the food, holy cow that makes me so hungry! haha! Well, we did have beads, but they added to the decor only 🙂 Thanks, Maureen. Thanks, Anyonita! I agree, this is a dish you can enjoy on a summer day! What a gorgeous looking dish and so easy to prepare ! Thanks for sharing it at Tasty Tuesday. I am featuring it this week. I was just wandering around your site and this jumped out at me! It looks so amazing! I am so making this! Pinning this and stumbling too! Thanks, Michelle! 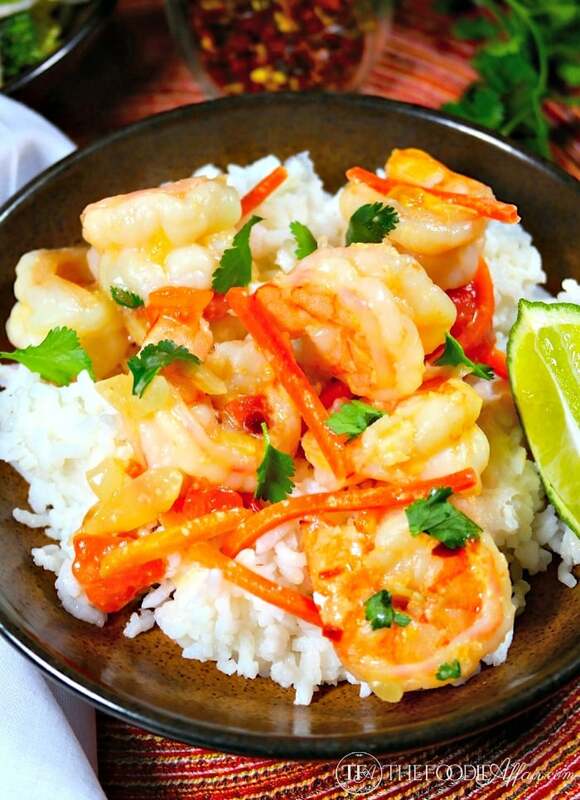 I’m so glad you like this shrimp recipe! So easy to make and finger licking good! Thanks for the love! !